The information technology industry is evolving at amazing speed. The Global Healthcare IT market size gives a unique tool to evaluate the market, supporting tactical and strategic decision-making and highlighting opportunities. In the rapidly-evolving and competitive scenario, updated marketing information is crucial to monitor performance as well as make vital decisions for profitability and growth. IT schools online abound due to the demand to meet the evolving requirements of the industry. 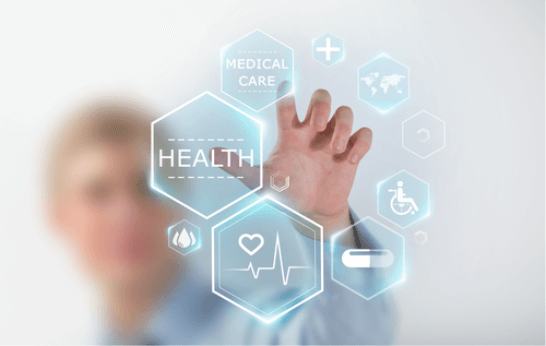 The global healthcare IT market consists of various regional, local and international vendors. The competition is expected to grow higher with the rise of technological innovation in the future. Furthermore, a lot of local and regional vendors offer particular app products for different end-users. The new vendor entrants find it difficult to compete with the international ones based on reliability, quality and technology innovations. The future of the healthcare field is changing in a dramatic way with dental and medical technology advances beginning to accelerate as well as larger health systems taking notice. The healthcare spending in the United States grew 5.8 percent two years ago, reaching $3.2 trillion. The year 2016 was a rich one for medical technology. Augmented reality, virtual reality, smart algorithms analyzing wearable data have come up. The top technologies with the biggest promise for the industry are the following. New era in diabetes care. Last year, the FDA in the US approved the first artificial pancreas in the world. The device keeps track of blood sugar and automatically supplies insulin. Basically, it replicates what a healthy version of the organ does. Moreover, it allows diabetics to live an easier life that’s sustainable. It’s the biggest step to a new era in managing diabetes in years. Google patented a digital contact lens, which could measure glucose levels from tears as added benefit. The tech giant launched a partnership with Novartis. While there’s silence around the development state, there are rumors for it to be available for trials this year. Narrow AI in US clinics. IBM Watson, the advanced AI program of the company is changing healthcare into a quantifiable service wherein every bit of information is available. Doctors only have to go through their personalized reports rather than reading dozens of papers for every patient’s case. It’s been used in radiology and oncology so far. While it does not answer medical queries, yet based on the data of the patient, it comes up with most likely and relevant medical outcomes. Precision medicine in oncology. Digital technology would begin the transformation of cancer care methods available on the market. Personalized oncology is becoming available via companies and start-ups like SmartPatients and Foundation Medicine. Foundation Medicine aims for cancer genomics to cancer care. It gives information on patient-specific treatments based on DNA tests. On the other hand, SmartPatients attempts to change cancer car with patient empowerment via an online community. Precision medicine is changing the old way of treating cancer. Driveless cars or trucks would include health sensors. Spread of cars with more and more automated functions will grow. Last September in Pittsburgh, Uber started giving rides in self-driving cars. The company teamed with Volvo to fulfill the objective to replace its more than one million human drivers with robots, as fast as possible. Already, there are significant results, such as Volvo trucks have gone throughout Europe without drivers. Companies are also equipping cars with numerous sensors. Volvo, Tesla and Uber would begin implementing health sensors on the driver’s seat. The car itself would operate as a point-of-care in the future. Nutrigenomimcs new service. Nutrigenommics is a brand new cross-field that combines nutrition science and genetics. The main idea behind it is that the genome reveals important information on the organism’s needs. After having DNA sequences, a smart application could inform what food to eat and what to avoid at all cost. Already, there is a start-up based in California dealing with nutrigenomics. The company, Habit plans of using genetic markets to determine the ideal meal for its customers and send the meal directly to their doorsteps. It is indeed amazing to see what technological advances could bring, particularly on the healthcare industry. Innovations and continuous technology advancements bring disruption to people’s daily lives in the future. A revolution is indeed happening in the healthcare field, providing more hope, ease of processes for the medical field, its healthcare providers. All the latest tech innovations for this year up to 2020 will truly be amazing. It’s always a wonder what technology could do and how it will impact the lives of people, wherever they may be located in the world.